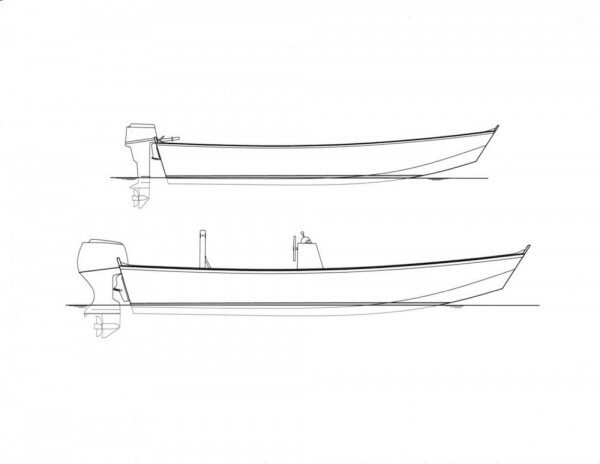 15'9" (top) and 19' (bottom) BEN GARVEY designs. 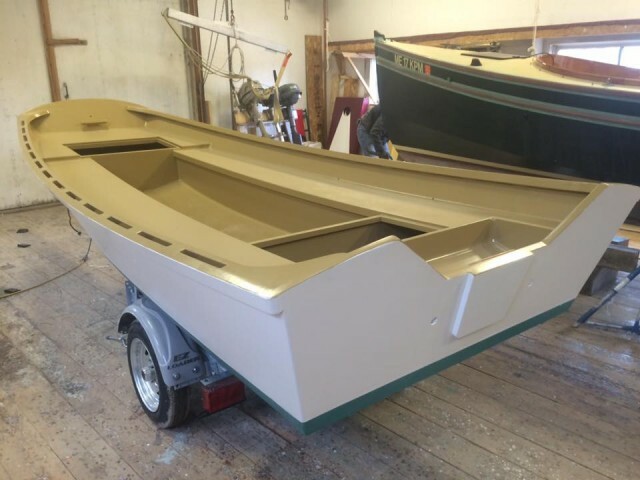 About 10 years ago Doug designed and built a Garvey to use as a yard skiff. At 14′ LOA it is about 10% smaller in all dimensions than his BEN GARVEY design. Other than size, it only differs from the BEN GARVEY in the the run is dead flat so that it can sit squarely on the mud next to our dock at low-low tides. We call the skiff Finn McCoul, and we use her daily May through October. She is our main access to the fleet of boats we care for and also serves as tug boat, mooring barge, ferry boat and occasional picnic boat. One of our neighbors across the river noticed how handy she is and asked that we build him a replica. She is built of mostly 3/8″ meranti marine plywood. 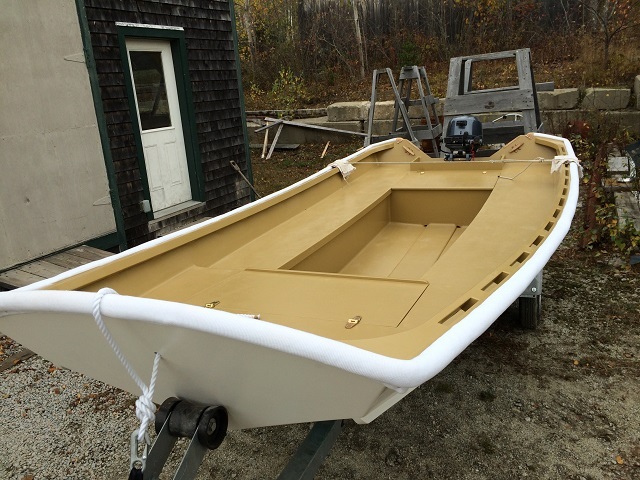 Joints are fiberglassed taped and filleted, and the whole boat is sheathed in dynel in west system epoxy. 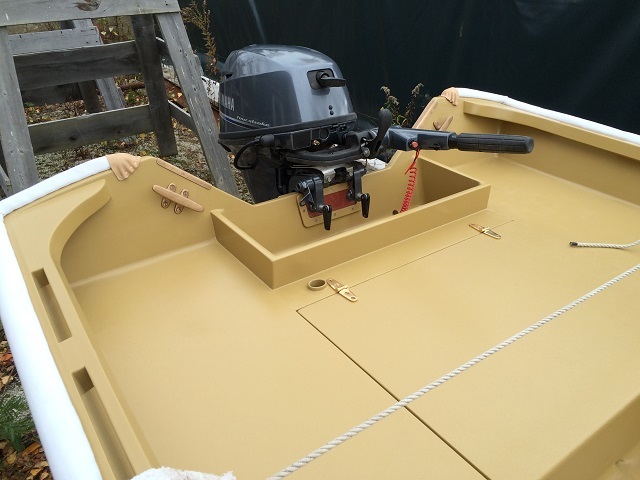 This new garvey is powered by a 15HP 4-stroke Yamaha. 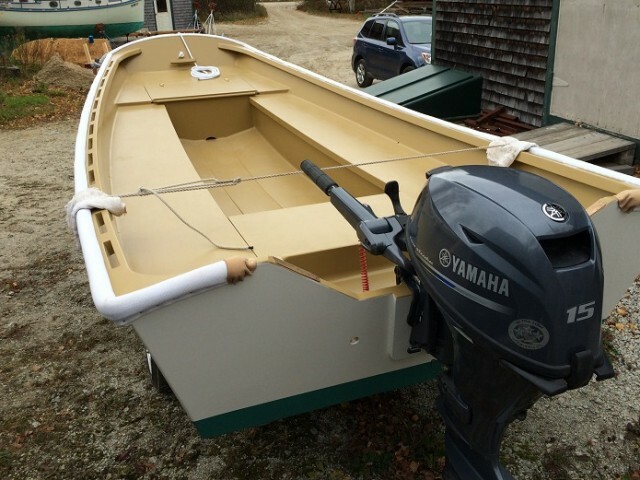 Our yard skiff is powered by a old 9.9 HP 2 stroke Yamaha. With one person aboard she’ll get right up on a plane.